This salad is an absolute dream, it’s simple to make with easy cleanup, and the flavors just burst in your mouth. Yummy! 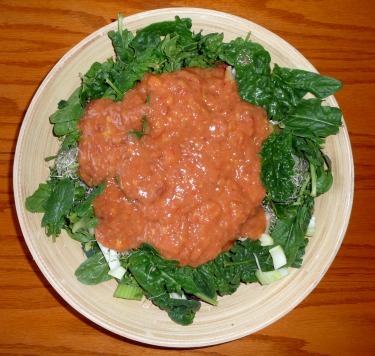 Toss ingredients together in a bowl and pour dressing over the top. Blend together until still slightly chunky. You could also use a food processor for this. You could add some of your favorite nuts or seeds to the dressing as well if looking to get a little fat into your diet.